This is another splitcoast sketch challenge (sc145). 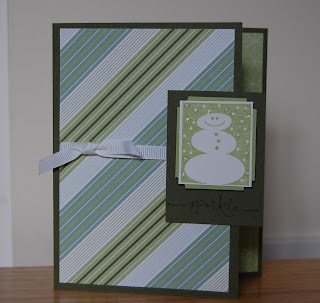 I'm really enjoying doing these, and I finally got a chance to use my wintergreen designer paper. I love the greens used in this paper!! Next time I think I will use craft white ink to stamp the word "sparkle", it is definitely too dark in always articoke ink! !